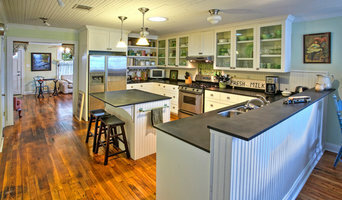 We used to salvage old homes and we still sell some reclaimed building materials. 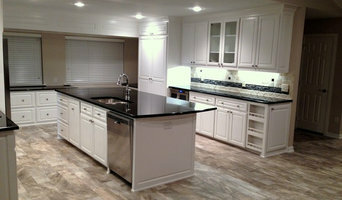 We have also, in the past, renovated homes, but we are only doing personal work at this time. Firehouse Construction is a family owned and operated company that has been in business for over 15 years, serving the Cedar Creek area, Dallas and Tyler. We offer a wide variety of services in both residential and commercial construction. We pride ourselves on our reputation for staying on budget and schedule while providing high quality work. Whether you want to update your kitchen, convert a garage into a new room or create an outdoor oasis, contact us today and we can turn your dream into your reality. Scott Hamilton Custom Homes is the premier design-build high performance custom home builder in East Texas. Scott Hamilton’s name is synonymous with excellence in the East Texas area and has been for the last 34 years. Our philosophy is to always build a home that is easily recognized as a great design. We love bringing your dreams to life, we do however limit ourselves 2 to 3 clients at a time so that we can provide prestige service . By only accepting this number it allows us to be heavily involved in you project and give it the attention it deserves. We implement budgets and schedules and enforce them. Hamilton Group, formerly Scott Hamilton Custom Homes is the premier design-build, high performance, custom home builder in East Texas. The Hamilton name is synonymous with excellence and integrity and has been for the last 40 years. Your trust depends on an enjoyable process utilizing inspired design, cutting-edge construction, and perfected interiors. 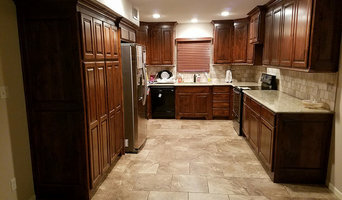 General contractors who can handle almost any project. We specialize in remodels and additions but half our business is in smaller projects such as roofing, paint,drywall, flooring projects. Welcome to Double C Docks!!! We are a Custom Dock Builder company on Cedar Creek Lake. Boat Docks, Retaining Walls, Decks, Patios, etc. CEDAR CREEK LAKE HOMEOWNERS TRUST IN DOUBLE C DOCKS to provide a beautiful lake view experience. Gun Barrel City, Tool, Mabank, Payne Springs, Enchanted Oaks, Caney City (903) 339-0002. "The view of a Texas sunset, the warmth of its breeze, and the relaxing sound of lapping waves filling the senses are the reasons for a retreat to Cedar Creek Lake. Allow us to enhance even this experience." - DOUBLE C DOCKS Two driven designer-builders have joined forces with the same ambition, to build a fresh and modern service that encompasses their passion to design and create. The pride in their craftsmanship is what makes this company stand out. The experience within Double C Docks have been artfully designing and shaping visions on Cedar Creek Lake for over a decade. Quality you can trust. Call for an estimate. We do all types of Real Estate related work. Buy it, Sell it, Remodel it, Tear it down, or Solar power it. We do it ALL the Wright Way! Providing all of your general contracting needs in and around the Henderson area.